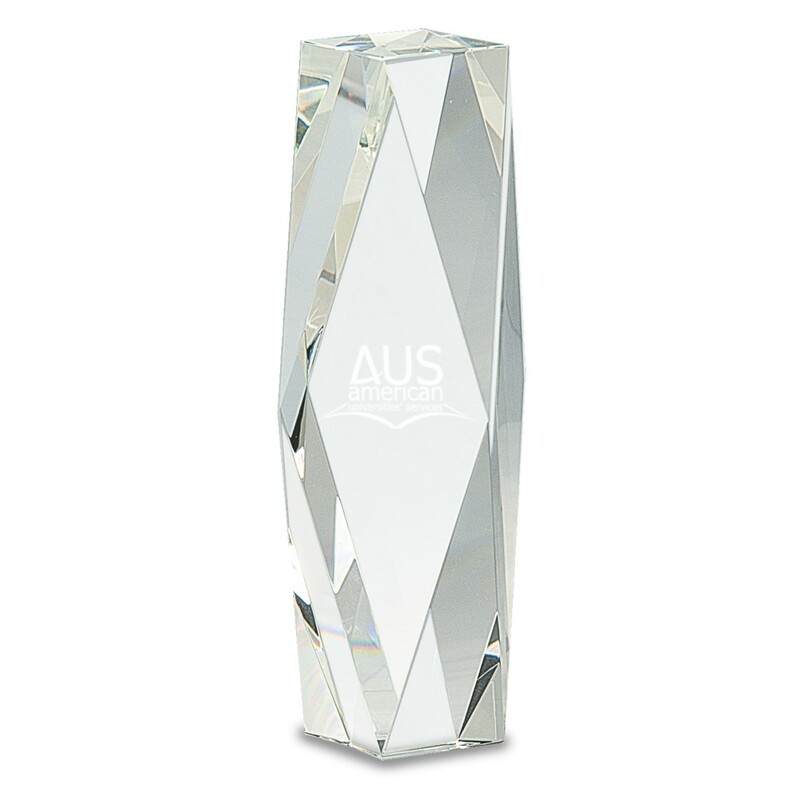 One of our tallest optical crystal awards, the sturdy President's Award Engraved Crystal Trophy will be a timeless remembrance. Shaped like an obelisk, it features faceted edges which reflect light. Your inscription is expertly etched in frosted letters. 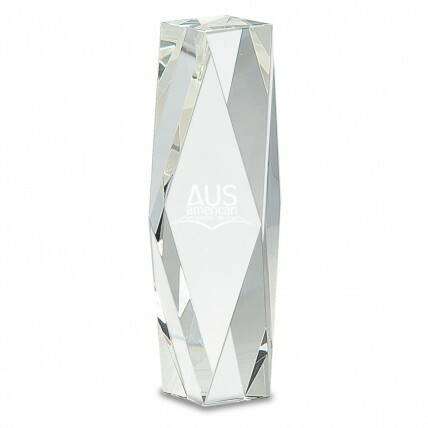 Award your executive's effort with this inspired crystal trophy. Small: 8", Medium: 10", Large: 12"
Small: 2.5"x7", Medium: 2.5"x9", Large: 2.5"x9"